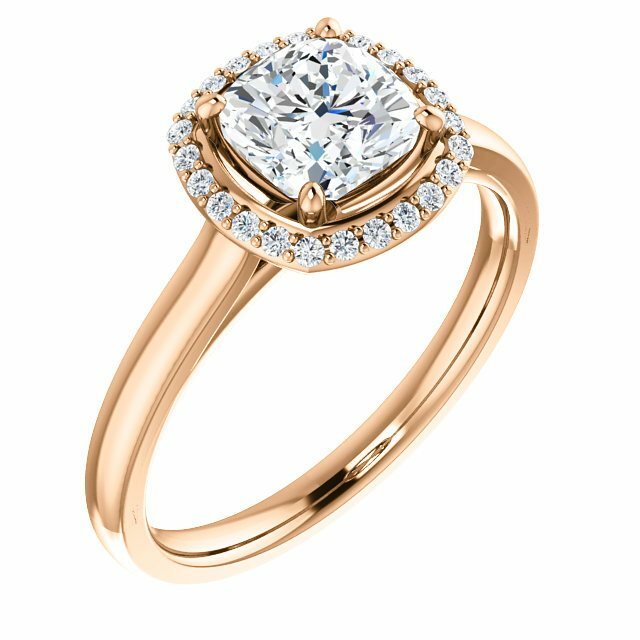 Halo engagement rings are one of the most popular engagement ring designs these days – and for many reasons. 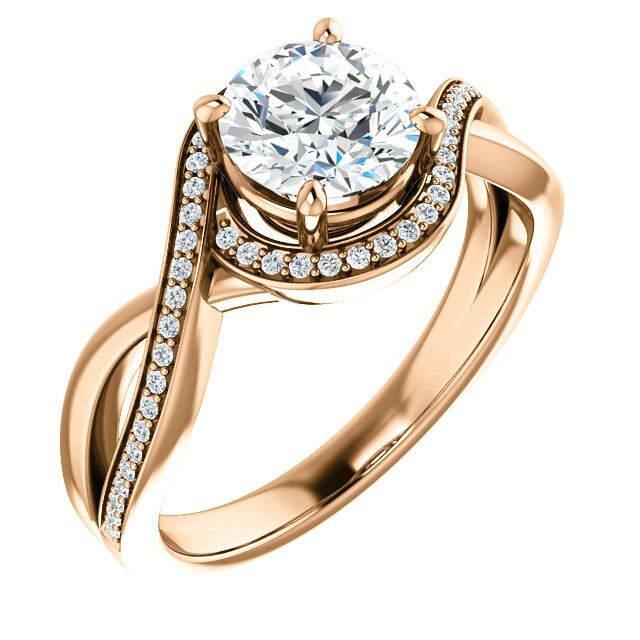 Timeless in design, a plethora of customization possibilities and a basic attractiveness are but a few reasons why the halo engagement ring has become an engagement ring icon. What is a halo ring? 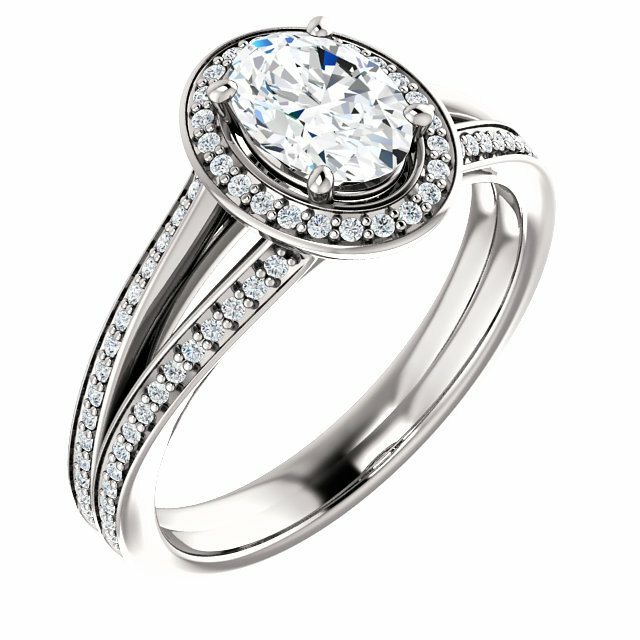 The halo ring design features a stone in the middle and is surrounded by other stones in a circular pattern for a “halo” effect. The precious stones are often diamonds but other attractive gemstones can be used to fit the personality of the owner. 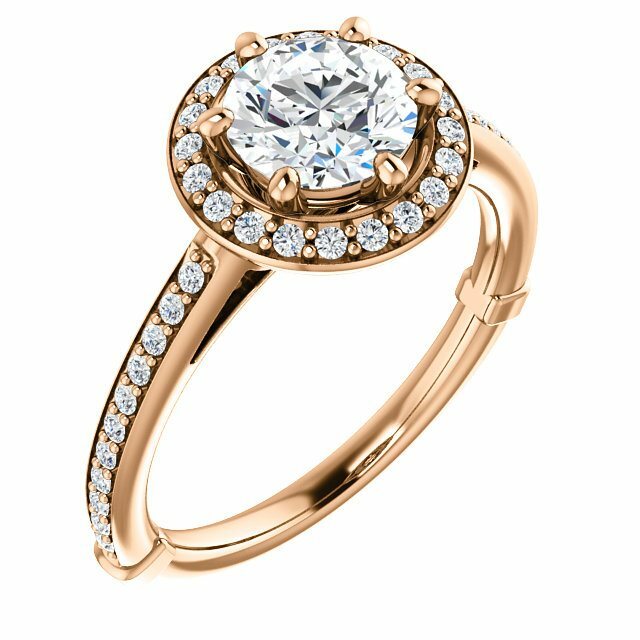 Most people think of the halo ring as always having a circular center diamond. 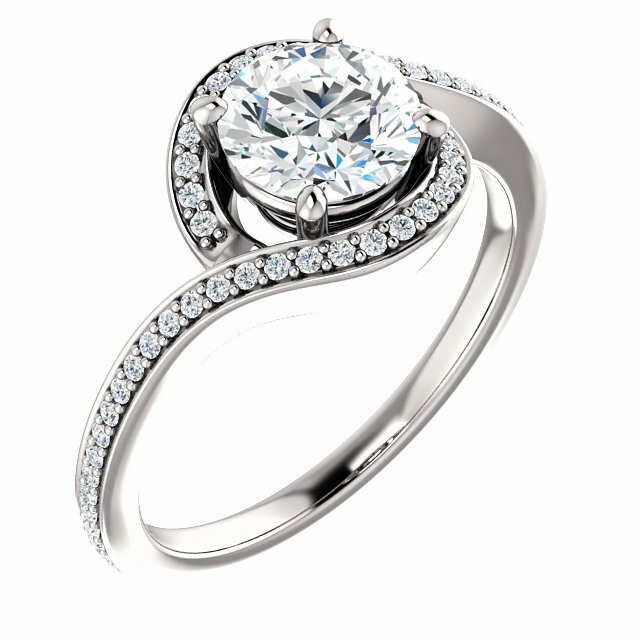 However, many other diamond shapes are appropriate for this style of engagement ring. For example, princess cut, emerald cut, oval and cushion cut diamonds all look good. Some ring styles are more popular at certain times in history than others. However, the halo ring has proven to be timeless over the years. That said, it does not have a dated look and is very popular as a result. Halo engagement rings have virtually exploded in popularity in recent years.Its origins dates back as far as the early Georgian era (1714 – 1837) in Europe, where round diamonds only slightly smaller that the center stone were used. Halo engagement rings saw an increase in popularity during the Victorian era (1837 – 1901), which sometimes had a colored gem center stone to imitate a flower. 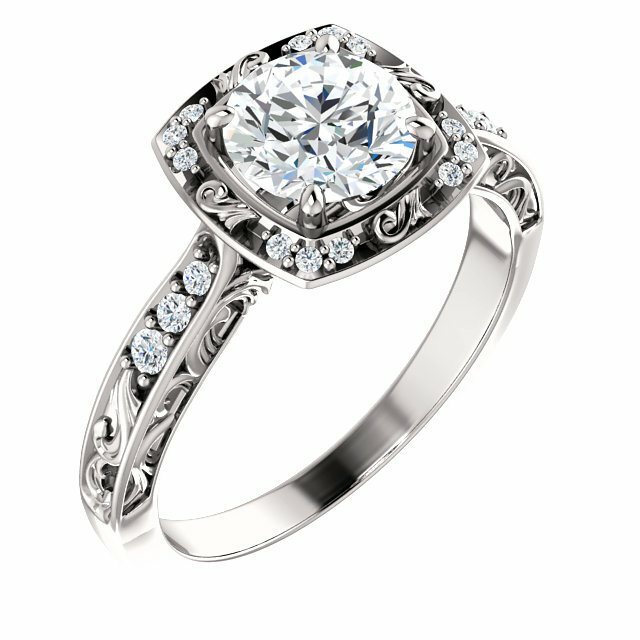 The halo engagement ring first arrived on the American market in the 1920’s. This was during a time when Art Deco jewelry was gaining popularity, and the halo ring was very much a part of that era. 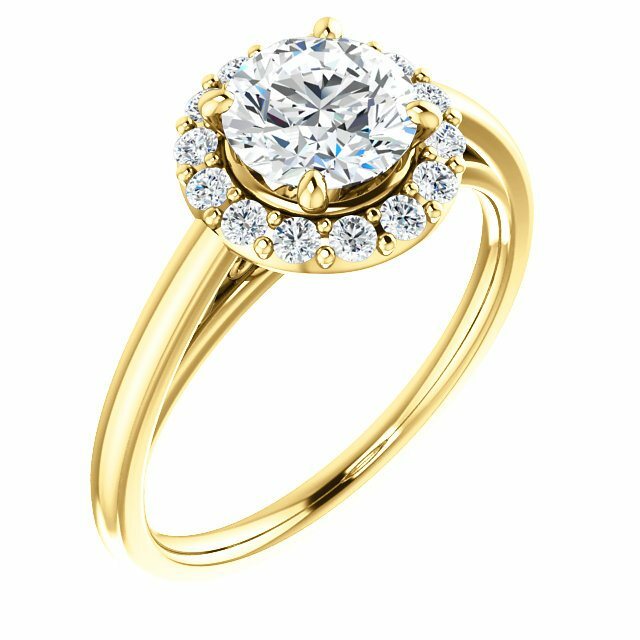 Currently, the classic solitaire is the most popular type of engagement ring. However, the halo ring is now close behind as a resurgence for this popular ring design takes place. 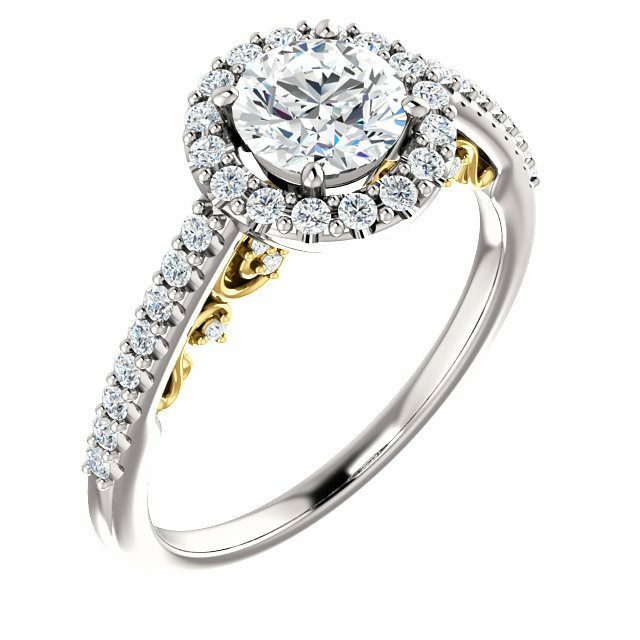 The Halo ring adds a little something special to the more traditional solitaire. For example, one of the most prominent types of halo rings sports a lot of white. Meaning, when you have a white stone in the middle, with other white stones around it, it looks great. 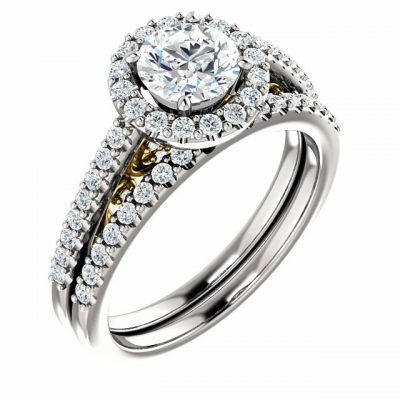 When the stones are centered on a white gold or platinum band, it looks amazing. Both the cushion-cut and princess diamond are perfect for this ring. What Does The Halo Cut Do? 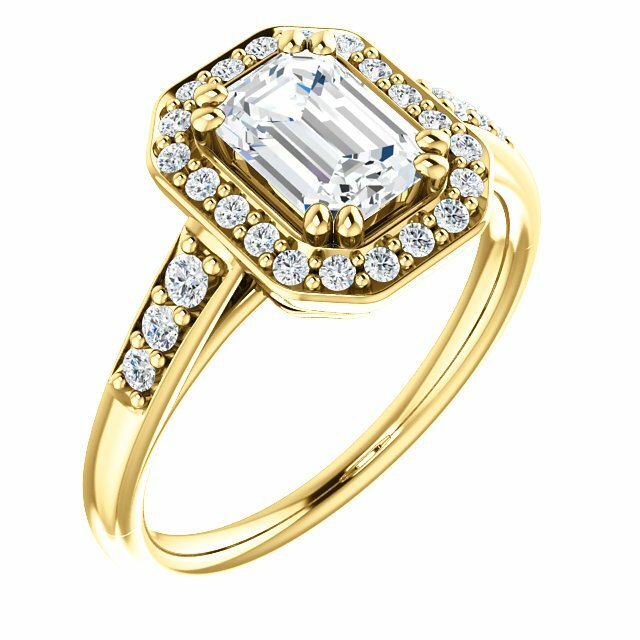 The halo cut makes the middle diamond or stone more prominent. Think of the frame of a painting. It needs to be nice to accentuate the painting within, without overshadowing the artwork. The halo cut design is similar. Some of the bands have stones and some do not. Nevertheless, a circular border is most popular. However, it is not unusual to see other shapes, like ovals or rectangles, as well. Typically, halo engagement rings have cushion cut diamonds highlighting the central gemstone. These stones, when arranged next to each other, are very beautiful. In addition, not all cushion cut rings look the same. Their appearance is based on how round the edges are and where the facets are placed. 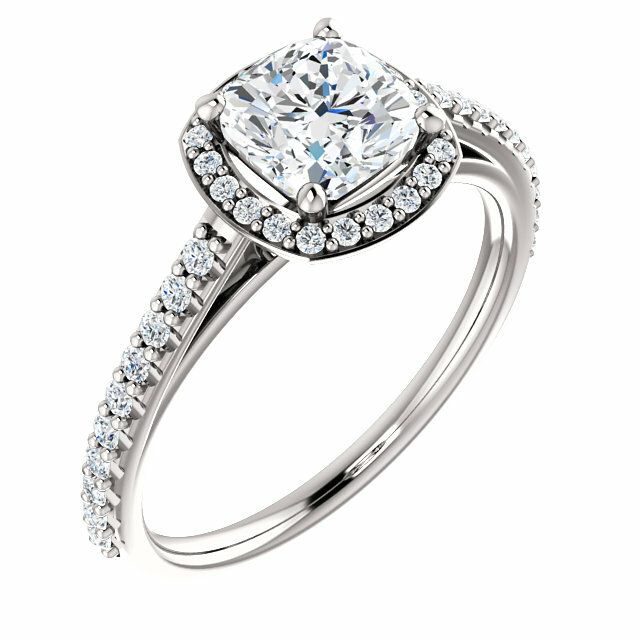 A cushion cut diamond ring is a classic beauty, a timeless design. 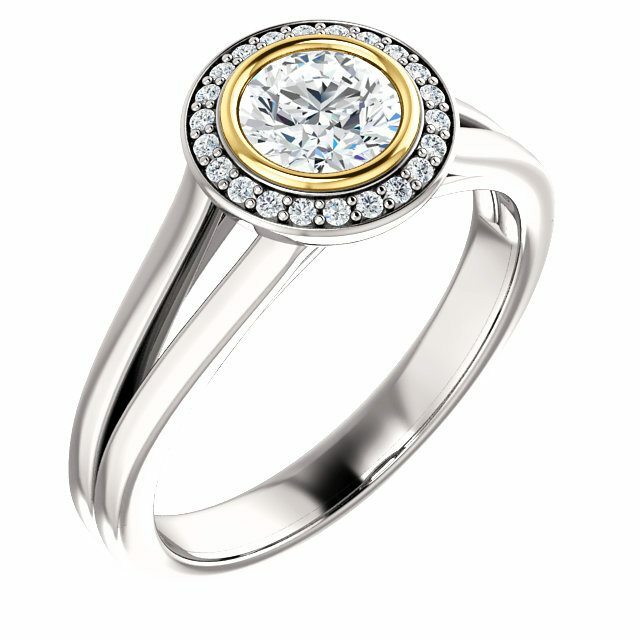 The center diamond of gemstone is where the eye should fall when looking at the halo ring. However, the ring as a whole makes a statement. All of the parts to the ring are important. The shank is everything on the ring except the center. The shank on halo engagement rings is the part of the ring that fits around the finger. Typically, the shank is referred to as a band. The split shank ring has attracted a lot of recent attention. This is when the shank breaks into two different parts, or shanks, before meeting back at the center. Sometimes the split shank is very plain. Other times there are small diamonds on the band. In a few cases, the split shanks are quite ornate. For example, there might be a center design in the middle. In addition, there could be two smaller designs on the shanks. These designs are on either side of the middle arrangement. There are a number of other things that can be done as well. Sometimes the shanks are intertwined. Sometimes they go all the way around the center setting. In these cases, they look like another border. Depending on how big the shanks are, and where they are placed, the ring will look different. Halo rings are quite popular with many different people for different reasons. In part, this may be because of how the dramatic the gemstones look when they are all together in one ring. It is important, though, not to put your entire focus on the stones. The metal plays a role as well. There are several choices, including platinum, yellow gold and white gold. Any of these can be used in a halo ring to great effect. Sometimes, more than one type of metal can be used in a single ring. This is often seen in split shank design. When there is more than one color metal, it really makes the ring stand out. It is noticed more often by others, who are typically impressed with the way the ring looks. Jack Miller Jewelry Designers is at the leading edge in halo ring design in Colorado Springs. 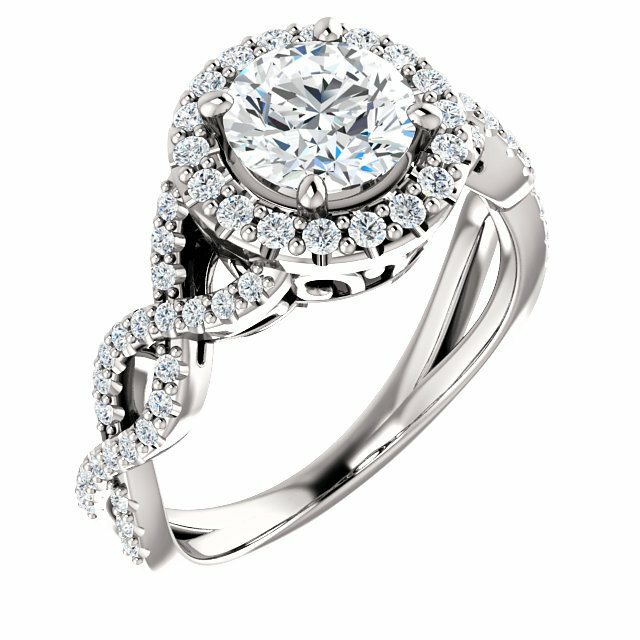 Why not give us a call at (719) 232-8122 or come in to our store at 111 N. Tejon St. to discuss your new halo engagement ring?